GameSalad is proud to present the following guest authored blog post by Andy Sernovitz, CEO of WordofMouth.org and SocialMedia.org. 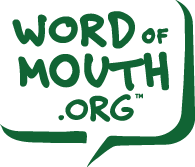 This guest post gives great insight into the world of word of mouth marketing. Andy shares invaluable information for independent game designers looking to build a brand from the ground up. Enjoy! Word of mouth marketing comes down to this: Happy customers are your best advertisers. If people like you and like what you do, they will tell their friends. And that’s it. If you earn their respect and trust, if you thrill them with great service and experiences, if you’re nice — they’ll tell the world about you. And the best part: Getting started is easy, fun, and cheap. You don’t need a budget, more staff, or more resources. Word of Mouth Marketing is a) giving people a reason to talk about you and b) making it easier for the conversation to take place. It’s CtoC Marketing—when a consumer tells a consumer about you. Actually, it’s BtoCtoC. When it comes out of the mouth of a marketer, it’s marketing. When a real person repeats it, it’s word of mouth. It’s more than just marketing—it’s also product design and customer service. People talk about fantastic stuff and great treatment from companies they like. Nobody talks about boring companies, boring products, boring ads. Everyone can be interesting. Before you run an ad, before you launch a product, ask your spouse about it. Trust me… if he or she finds it interesting, you’ve got a winner. Create amazing products. Provide excellent service. Go the extra mile. Make sure the work you do gets people energized, excited, and eager to tell a friend. Nobody talks about a company that they don’t trust or don’t like. Earn the respect of your customers. Be good to them. Talk to them. Honor their intelligence. Fulfill their needs. Stay honest. Every company can be nicer, and every one of us can work to make our company a little better to its customers. Find a simple topic that is easy to repeat. Not your formal brand statement, not your product description. Forget elevator pitch…it’s the pass-in-the-hall test. What can people tell a friend about you in one sentence? Then do everything you can to make it easy to share that topic. Use tell-a-friend forms on your website. Put it in an email. Pass out flyers. Blog it. Stick it on a T-shirt. Reason #1: You. They Like You and Your Stuff. Be likeable. Make great stuff. Provide great service. Reason #2: Them. Talking Makes Them Feel Good. Provide reasons to talk that make your talkers feel smart and special. Reason #3: Us. They Feel Connected to the Group. Rally the team. Give them shirts, private discussion groups, special events, and public recognition. Are they your customers? Neighborhood moms? Doctors? Bloggers? Think about the people who are most likely to tell a friend about what you are doing. Make sure they know about your new topic of conversation. Conversations die out when there’s only one person talking. When people are talking about you, answer them. Reply to their email. Comment on blogs that write about you. Send a lot of thank-you notes. The word of mouth conversation is the best feedback you’re ever going to get. It’s far better than any other kind of market research, because it is the authentic voice of the consumer. Hear what people are saying, learn from it, and use it to be a better company. Ready to get great at all of this? If you liked these ideas, you’ve got to come to our Word of Mouth Crash Course in Austin, TX on May 10. We’re bringing together 33 incredible marketers to teach these fundamental skills in 12 how-to classes, 12 real-world case studies, and 6 brilliant author sessions. It’s going to blow your mind. You’ll learn essential word of mouth skills in classes like how to create buzzworthy topics, how to get great reviews, how to create a fan community, and how to measure it all. You’ll discover how brands like Dell, Discovery Communications, Threadless, Maker’s Mark, Costco, Movember, Domino’s, and Boeing earn word of mouth every day. You’ll learn practical, hands-on techniques to get started, earn love from customers, and create amazing word of mouth. Andy Sernovitz teaches word of mouth marketing. He is the author of Word of Mouth Marketing: How Smart Companies Get People Talking and CEO of WordofMouth.org and SocialMedia.org.